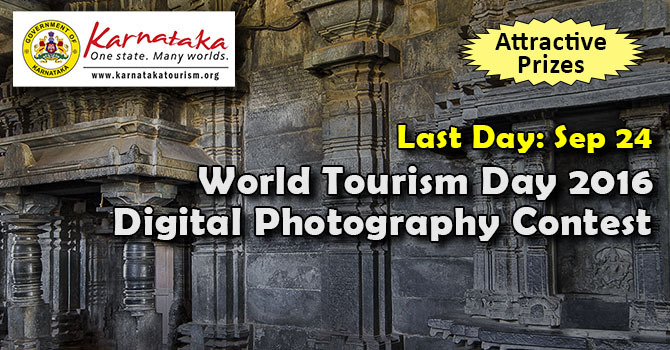 Department of Tourism, Government of Karnataka in association with Youth Photographic Society, is conducting a Digital Photography Contest to mark the World Tourism Day 2016. The contest is open to all photographers, whether amateurs or professionals or tourists, from India. There are two categories, namely, Karnataka Heritage and Karnataka Nature. Each Participant can post up to 4 photographs under each category. The winner and runner will be selected by a jury of 3 judges. There is no Entry Fee. All the pictures must have been taken in Karnataka. Requesting YPS Members to participate and win recognition and prizes. Department of Tourism has announced 2 Cash Prizes and 5 Certificates of Merit in each of the two categories. The Winner in each category will receive a Cash Prize of Rs. 25,000/- and the Runner will receive a Cash Prize of Rs. 15,000/-. 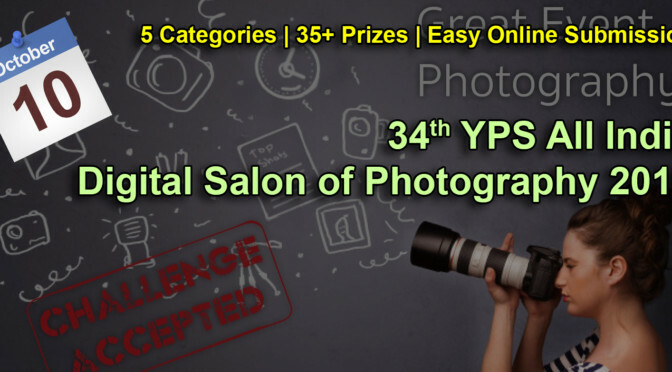 YPS Bangalore is pleased to announce the 34th All India Digital Salon of Photography 2016 open to all photographers, amateurs and professionals, in India. The Salon is dedicated to Late Sri. N S Ranganathan, the first Life Member of YPS Bangalore. This is a Digital Salon and all entries must be submitted online in soft copy. The last date for submission of pictures has been extended to October 10th. Please visit YPS Salon Website for details. More than 35 Prizes to be Won ! Register Today ! Share with your friends !